We promote the adoption of blockchain technologies by actively collaborating with and promoting the efforts of our global blockchain community through the Institute for Blockchain in Supply Chain (iBISC). We welcome other blockchain associations, non-profits, governmental groups, corporations and individuals. We believe collective intelligence should not be siloed and should rather emerge from the collaboration of members working towards a decision in consensus. Leaning on the expertise from both Nick Vyas and Kimon Drakopoulos, we are seeking to enhance thought-leadership through iBISC. The Institute will bring together a stellar group of researchers from industry and academia, also including one post doctorate researcher and one research assistant. Our vision is to provide use cases by using blockchain integrated with Internet of Things, Machine Learning, and Artificial Intelligence. Our mission is to capture and enhance collective intelligence from the collaboration of key stakeholders by integrating end-to-end supply chain. We also seek to passionately promote Blockchain Technology using iBISC as a key platform and provide sustainable solutions to the industry. We create value by working together in a collaborative space, where synergy can help solve current problems and overcome future challenges that the industry faces by introducing innovation at a greater speed. The iBISC Consortium will be on an invitation-only basis. Financial and intellectual contributions will help create ‘state of the art’ innovative use cases for end-to-end supply chain. In addition, iBISC will work with the government, regulatory compliance bodies, and industry along with academia to provide much needed research facilitation. iBISC Consortium will publish and have access to exclusive blogs, white papers, case studies, and use cases with the goal to produce collective intellectual property that will be shared among the members. This general knowledge will help facilitate the conversation on much needed standards across the industry. 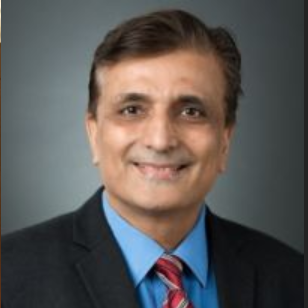 A specialist in Operation Excellence, Application of Lean Six Sigma (LSS) and an expert in Global Supply Chain Management (GSCM), Nick Vyas has implemented process improvements for over 300 projects globally that have increased efficiency for clients in the fields of health care, service, military, retail, and end-to-end supply chain. As the Executive Director and Co-founder of USC Marshall’s Center for GSCM and as an Assistant Professor of Clinical Data Sciences & Operations, Vyas is educating the next generation of business leaders. Previously, Vyas had taught GSCM and LSS courses at CalPoly Pomona. 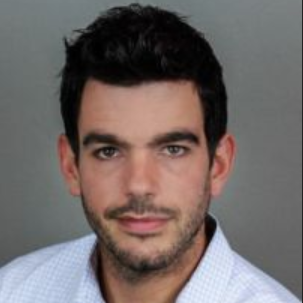 Kimon Drakopoulos is an Assistant Professor in the Data Sciences and Operations department at USC Marshall School of Business. His research focuses on the operations of complex networked systems, social networks, stochastic modeling, game theory and information economics. Kimon, prior to joining USC, completed his PhD at the Laboratory for Information and Decision systems at MIT focusing on the analysis and control of contagion processes on networks.